WorldDict Spanish (formerly known as BerryDict Spanish) is now available in version 2.0. 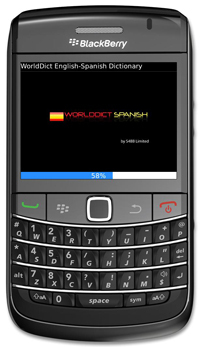 WorldDict Spanish provides an on-device dictionary that runs on any BlackBerry® Smartphone and allows to look up English words in Spanish. Comprehensive English to Spanish dictionary.